From a business perspective, the risk posed by conflicts between concession operators and local populations in emerging or frontier markets concerns more than just companies with ground-level operations. It also interests investors. 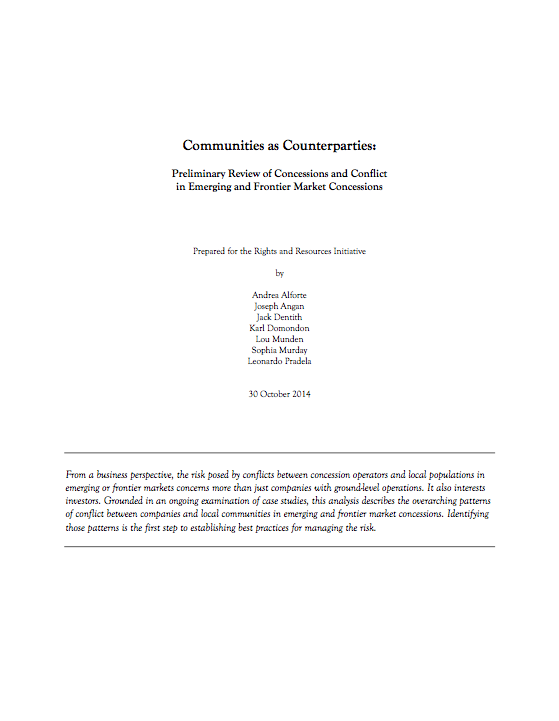 Grounded in an ongoing examination of case studies, this analysis describes the overarching patterns of conflict between companies and local communities in emerging and frontier market concessions. Identifying those patterns is the first step to establishing best practices for managing the risk.